Add value to your event with live visuals that are engaging, lasting and shareable. Come away with visual content to reference, use as marketing collateral, and share with your broader audience. Boost your big ideas in a visual world. Our agile live artist team works with companies across industries, at events of all sizes and formats. We often visualize leadership meetings, group brainstorms, keynote talks, brand messaging and interactive expos for massive audiences. "Urban Wild Studio provided us with a unique graphical way of documenting our most recent Leadership Summit. Our attendees loved it, and we were able to display a “living history” content throughout our meeting. Leah and her team were amazing to work with throughout the process. I highly recommend working with them to provide your attendees with a unique overview of any event!" “Our first experience with graphic recording was very, very positive. Leah worked with us in advance to ensure our meeting format would work in concert with the artist. During the meeting, Caroline was attentive throughout and captured a spectrum of thoughts creatively and beautifully. "Leah was able to take the ideas of 10 different youth groups and transform them into amazing drawings that wow'd the crowd and the participants themselves." "I had to pleasure of working with Leah for a graphic recording of a C-Suite Executive Roundtable. I was immediately impressed by her ability to seamlessly blend creativity and business savvy. From a production standpoint, she beautifully brought to life the ideas and concepts of hospital executive administration. From a business standpoint, she was able to thoughtfully navigate the competing interest of various internal and external stakeholders. Leah is thorough, thoughtful and sure to surpass your expectations." ..."Just wanted to tell you how AWESOME the graphic illustration turned out. Jill was AMAZING!" "Couldn’t have asked for a more awesome way to send one of our leaders away with a keepsake they’ll remember for years! Leah and Jill were amazing at helping us plan and pull off this great surprise. We wanted something better than a card and boy did they deliver! Super helpful and friendly and our guests interacted so easily with them sharing fun and embarrassing stories. I highly recommend them and this idea for all your events!" "On behalf of DisruptHR Chicago, we thank you Leah! You did an amazing job breathing life into our meeting and making it fun and allowing the words to come alive. What an exciting and interactive showcase of how a meeting can be illustrated and take aways can become clear. Your professionalism, promptness and great responsiveness was much appreciated! Great work!" 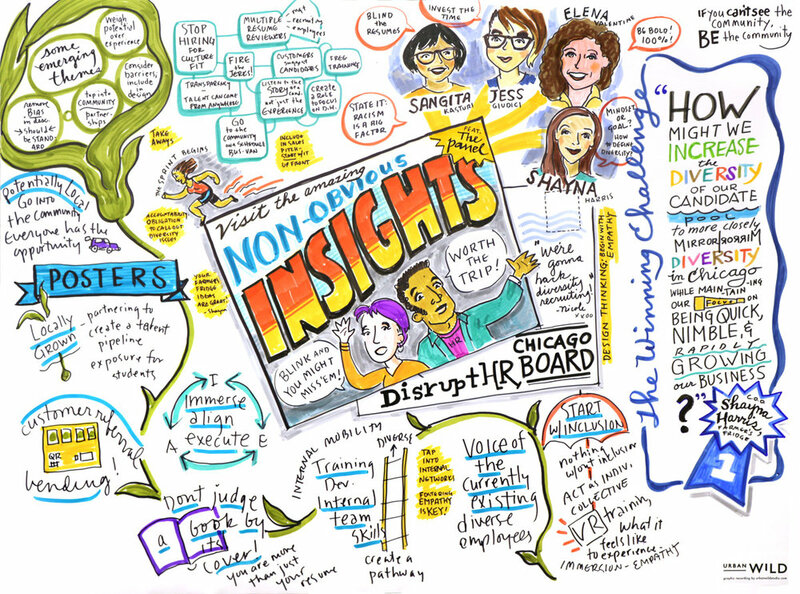 "We recently engaged Leah [and team] to graphically capture the content of a meeting . She did a great job. The whole engagement was professional. The end product was exactly what we needed." 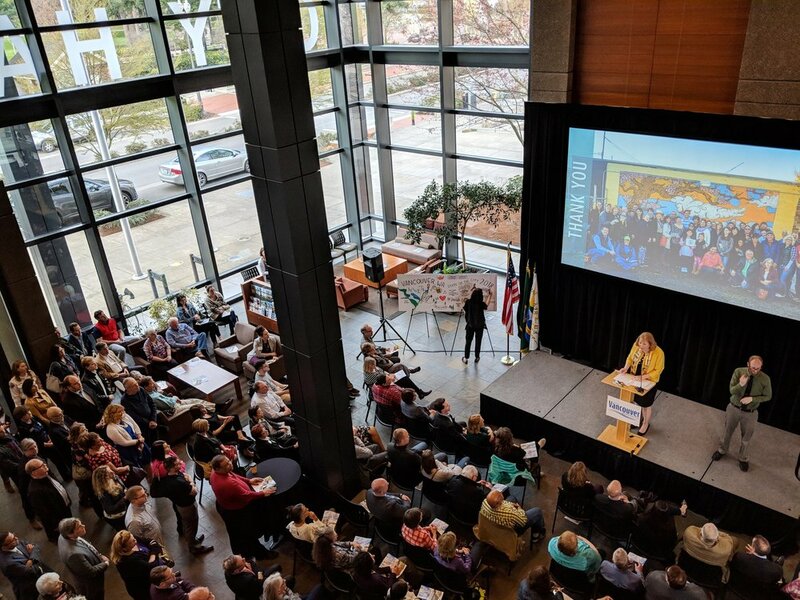 "Leah Lavelle and Urban Wild Studios did an excellent job as a live graphic recorder at our recent all-day meeting of 25+ university administrators. She was organized, well-prepared, and attentive to our group’s needs. Her beautiful visuals provided an engaging overview of the meeting that we will use as we plan the rest of the year and will be a great reminder of what was discussed." "We recently worked with Leah for graphic recording during our annual global IT Summit and everyone was very impressed with the outcome! The boards were a talking piece during breaks, reference points for the days after and the digital copies will be of great value communicating the outcome of the Summit to the larger team. She was professional, easy to work with and very prompt in responding from the very beginning. The actual Summit was a breeze and she was well prepared. We will be recommending Urban Wild Studio to other departments within our company." "This is what it looks like when you get out of the way of really bright and creative people! Great Job Leah Lavelle!" Reach out to discuss your event, to learn how we work or to brainstorm something special. We love a creative challenge.